Should the writing on the arm be reversed so you can read it while we have are guns up? With shipping and tax its 103$ for me.... Thats to much for a jersey broo.. Raza is pretty cheap we should check them out. CMiller9 wrote: With shipping and tax its 103$ for me.... Thats to much for a jersey broo.. Raza is pretty cheap we should check them out. I did check out Raza and they wanted a "design fee" of minimum $200 when I contacted them. The shipping is high due to it being a single order. 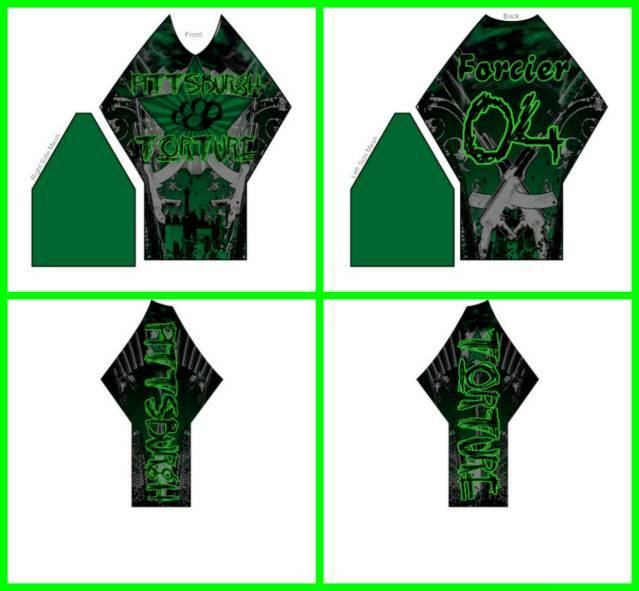 I just ordered 2 jerseys, my personal jersey with tournament padding built in and a second jersey for guests that play with us. yeah I still need to order mine. colt thats not too bad believe it or not for only the short amount of players we have. would be different if we were getting 15+ then most places would give discounted price. since we short kinda on bodies thats not too bad. My jersey for last team with pants was 160 but we had 45 bodies. Alright. Pj can you send me a graphic for long sleeve shirts and ill see what i can do on that price wise? I plan on ordering my jersey very soon. Gotta finish up paying bills. Im in middle of a trade for a axe pro should be recieving it soon. But I did have to say goodbye to my etha and slg. I also got a mini in today =) So looks like im going to be using a axe pro as my main and a mini as my back up. I still want to buy a few upgrades for both markers and want a new set of e-vents or e-flexs, and need new tank. 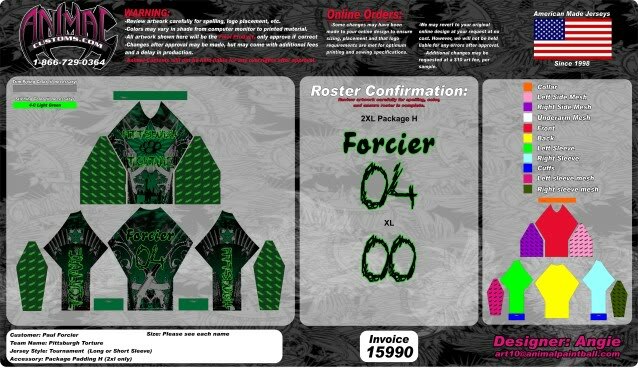 Get your jersey orders in soon guys. We do not want to be waiting for them to get printed when the season starts. im ordering mine next week as well as my ETHA!!! yea ordering mine next week. You guys want to geta team banner? we can get one that matches our jerseys for 40 dollars. i was thinkin about orderin it but just wanna see if thats what the team wants.